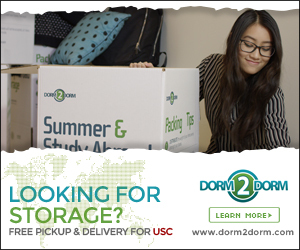 The USC women’s golf team was back in action yesterday at the Bruin Wave Invitational in Tarzana, Calif., just a week after from having its remarkable string of eight straight victories broken at the Allstate Sugar Bowl. The No. 1 Women of Troy put themselves in good position to start a new winning streak following a marathon 36-hole effort, using a late surge to overtake No. 15 Pepperdine and No. 2 UCLA for first place. The Bruins sit five strokes behind USC with a combined 2-over, followed by closely by the Waves at 5-over. 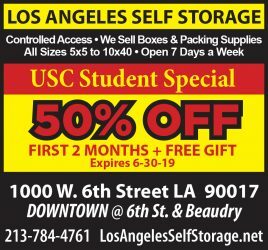 USC fell to its crosstown rival in New Orleans on Feb. 25, and UCLA is the only other team to receive a first-place vote in the latest NCAA rankings. No. 13 Oklahoma State stands well off the pace at 15-over, and rounding out the top five was No. 10 Arizona at 18-over. The Women of Troy were sluggish out of the gate, stumbling to a disappointing 8-over in the day’s first round. The team returned to form with a strong second-round effort, however, sparked by the dominant play of junior Doris Chen. Chen, who came into the event as the team’s fifth seed, added a blistering 5-under 67 to a solid even-par first round. A birdie on her penultimate hole allowed the Bradenton, Fla. native to sneak past a group that included sophomore Kyung Kim for the individual lead. Head coach Andrea Gaston felt her team’s bounce-back effort was impressive in difficult conditions. 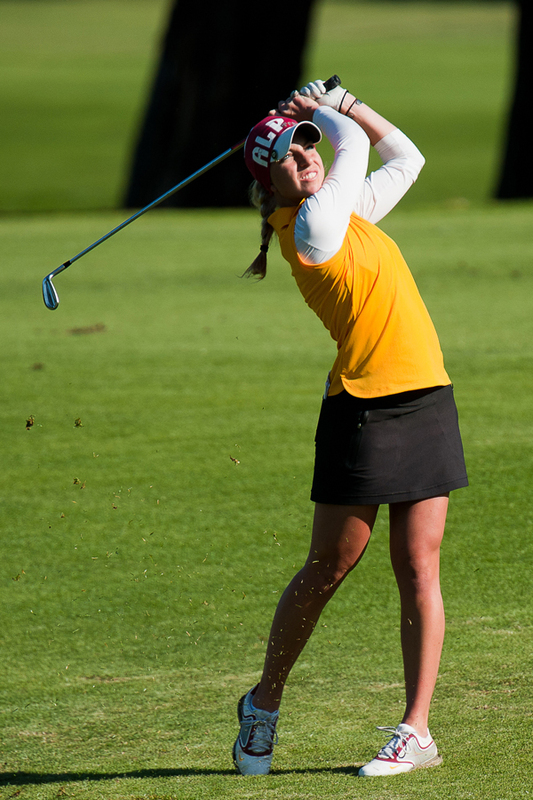 USC’s most consistent performance came from Kim, who turned in two scores of 2-under to tie for second place. Kim, Oklahoma State’s Julie Yang and UCLA’s Alison Lee are each just one stroke behind the pace set by Chen. Sophomore Annie Park, the team’s No. 1 seed, rebounded from a discouraging 5-over with a 4-under 68 over the final 18 holes. Park’s combined score of 1-over puts her in a ninth-place tie with UCLA’s Louise Ridderstrom and UNC’s Lori Beth Adams. Senior Sophia Popov also struggled for the Women of Troy, but was able to end on a strong note with an even-par 72 in the second round. The three-time All-American already has two top-10 finishes this spring. 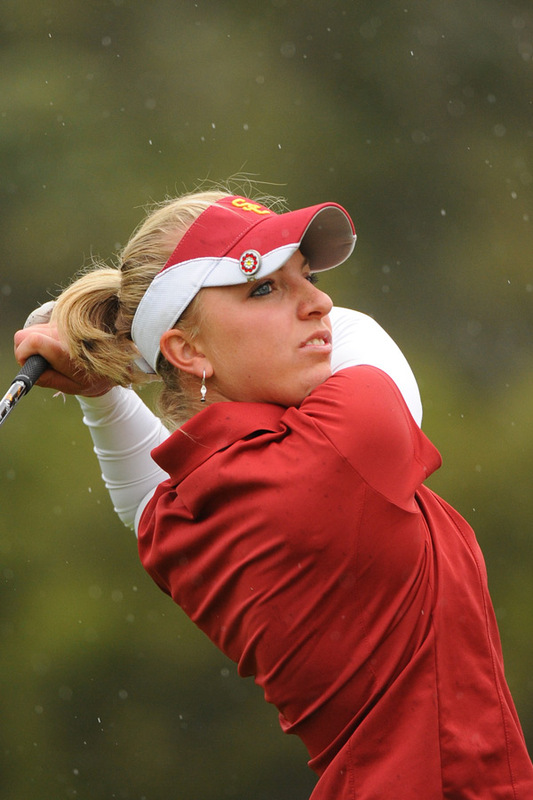 Freshman Gabriella Then’s 12-over, a team-worst, was not included in USC’s combined score. Gaston felt her team made some key shots down the stretch to secure the lead. 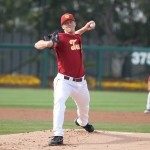 USC will attempt to hold off the rival Bruins when action resumes at El Caballero C.C. with tomorrow’s final round. The Women of Troy won this tournament last season, part of a stretch that included 11 wins in 12 matches and an NCAA championship. Also victorious at the 2013 event was Park, the first of four wins that the then-freshman picked up on her way to an individual national title. Tomorrow’s round can be followed live at golfstat.com.